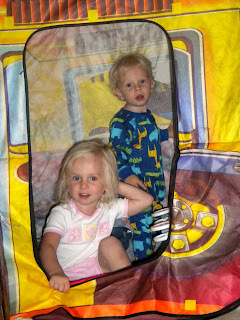 Playing in the school bus/fire truck tent since it has rained quite a bit recently. Caroline catching a ride on the "cycle." Tucker trying to escape Caroline on the cycle. 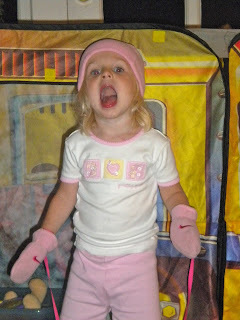 Caroline's recent fashion statement...fleece hat and gloves on a hot summer night.